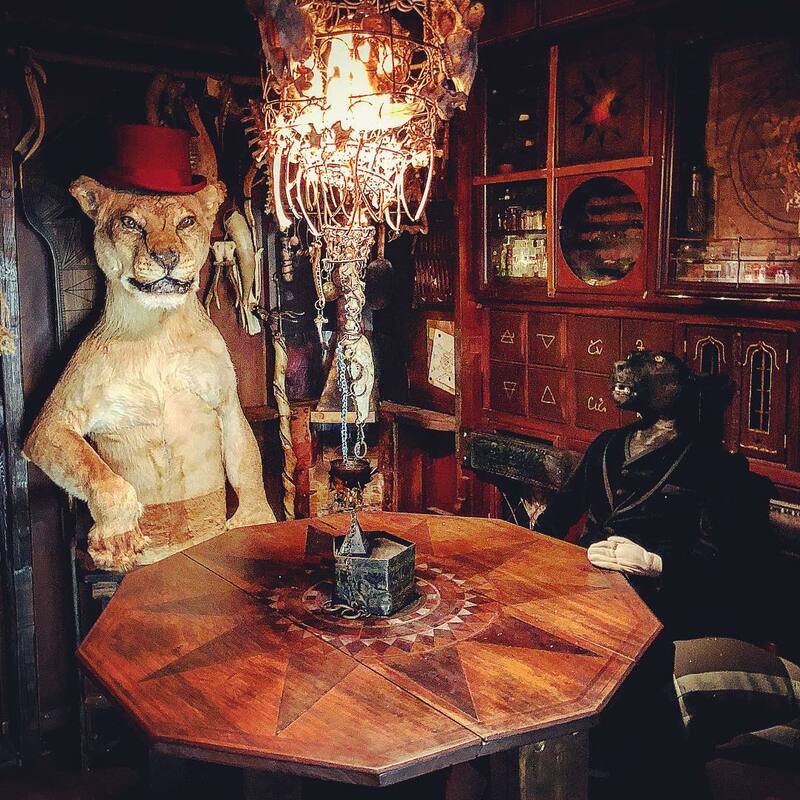 This east London museum, curated by artist Viktor Wynd, has an on-site cocktail bar, and absolutely no boundaries whatsoever. 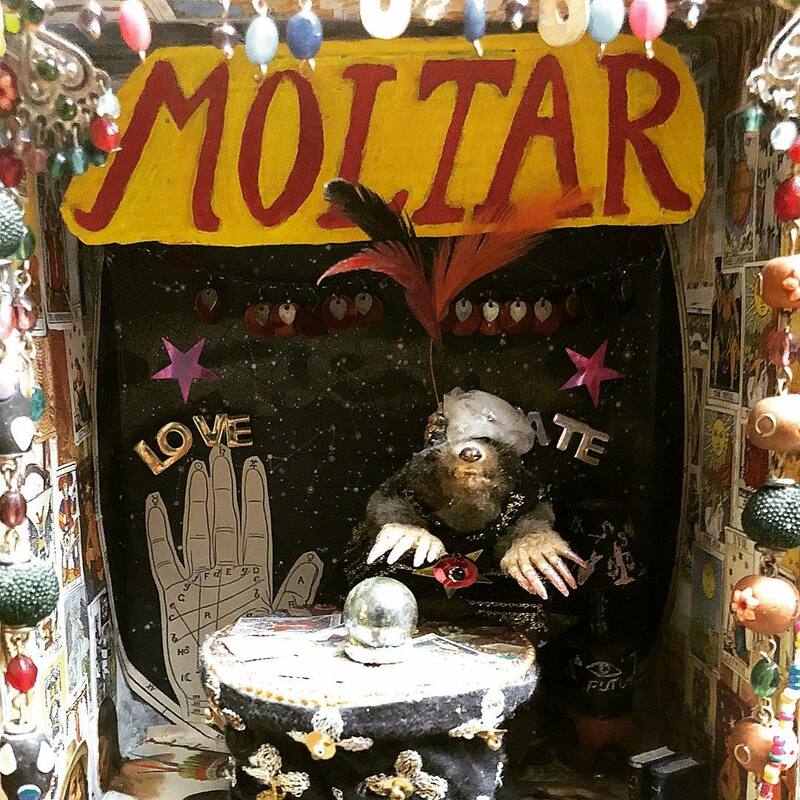 Basically, Viktor’s museum is a collection of weird and wonderful things, with absolutely no correlation to each other at all. In one corner you may find the McDonald’s Happy Meal toys of yesteryear, whilst in another you could stumble upon a unicorn skull, a mermaid skeleton or just regular human remains. 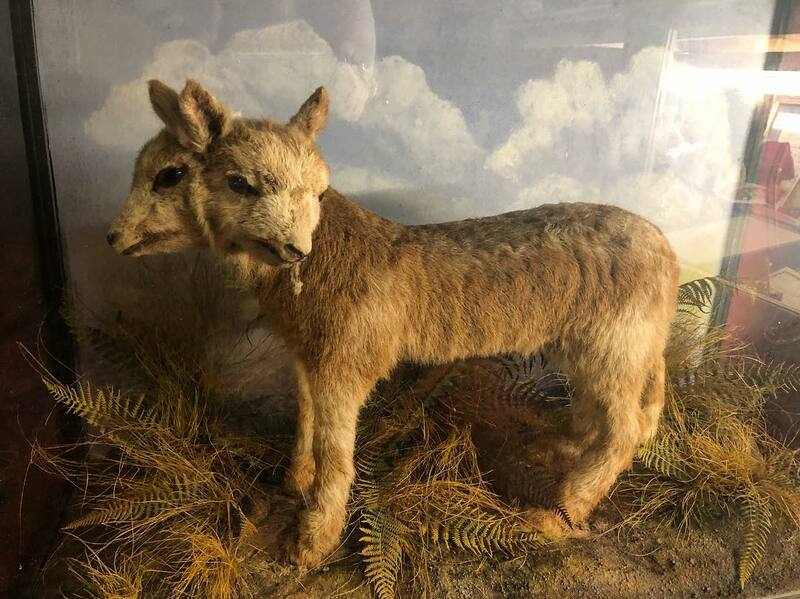 All of these objects are hidden amongst erotica, taxidermy and ramblings of the certified insane – so expect the unexpected, because who knows what you’ll cast your eyes on. 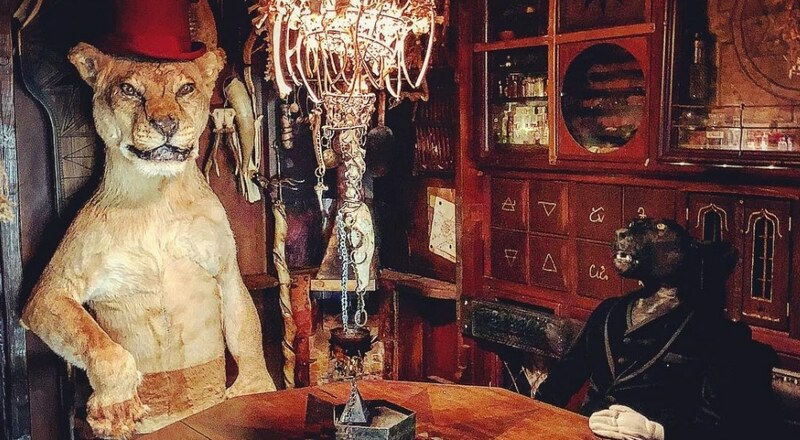 It started out as a basement curiosity shop – named Viktor Wynd’s Little Shop of Horrors – but opened as a museum after a successful Kickstarter campaign in 2014. On the last Tuesday of the month, Viktor runs guided tours, giving you a glimpse inside his brain and an insight into the origins of the museum. He’ll show you things that you wouldn’t otherwise notice, and it’s pretty safe to say that no two tours will be the same. Tickets cost £10 and include a G&T. Book here. Location: 11 Mare Street, E8 4RP. Nearest station: Cambridge Heath. Find it on Google maps. Opening hours: Tuesday 3pm-10:30pm, Wednesday to Sunday 12pm-10:30pm. Closed Mondays. Price: tickets cost £6, which includes a cup of tea upon request. £2.50 entry on Thursday evenings, 5pm-10pm. Card payments only. More info: the Last Tuesday Society website. Hidden within the museum, you’ll also find a curious cocktail bar with a magical menu of wacky drinks, each inspired by a different artefact that can be found inside the exhibit. 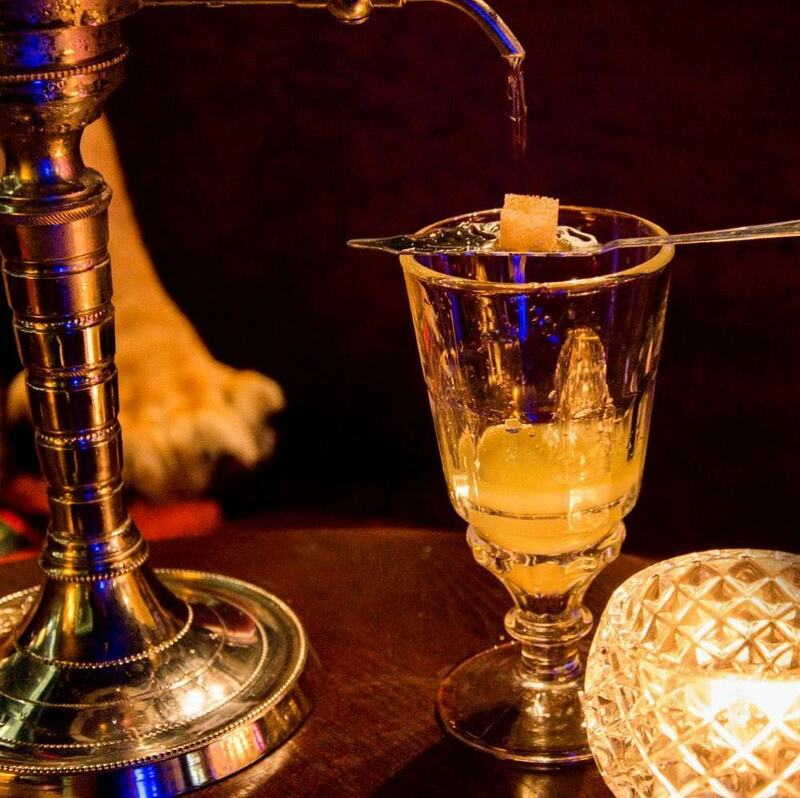 The Last Tuesday Society is very big on absinthe, and you’ll find a relatively large menu of different varieties – including rare and prohibited ones – all served the original way with a brown sugar cube, an absinthe spoon and an ice fountain. 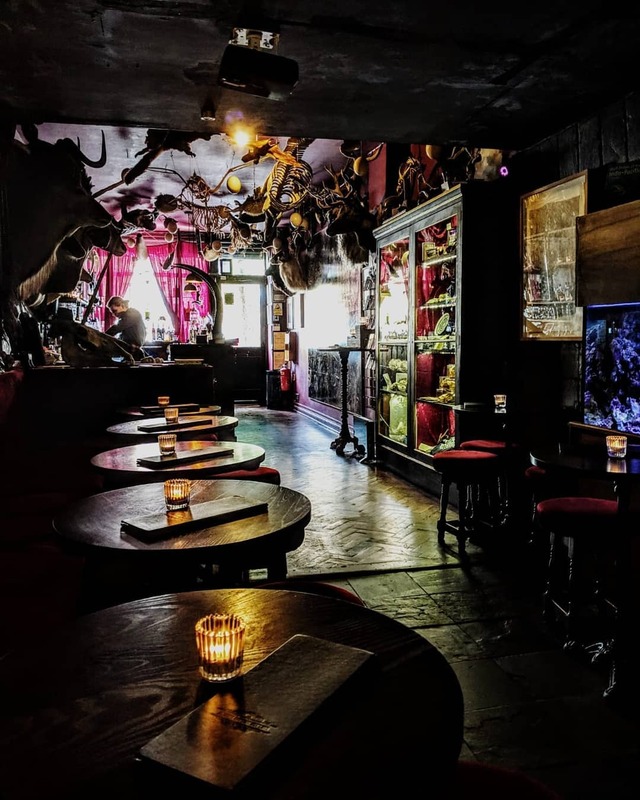 There’s even an Official Absinthe Hour every weekday between 6–7pm where you can succumb to the charm of the infamous Green Fairy and try the Last Tuesday Society’s weekly absinthe specials, along with some tasty nibbles. Opening hours: Tuesdays, 3pm–11pm. Wednesday–Saturday, 12pm–11pm. Sundays, 12pm–10:30pm. Closed Mondays. Price: entry is free but booking is recommended.